The word is finally out and the streets of NC are buzzing. Contrary to popular belief “everybody” is not on the internet and some heads in The Cack are just now starting to come around to who J. Cole is. 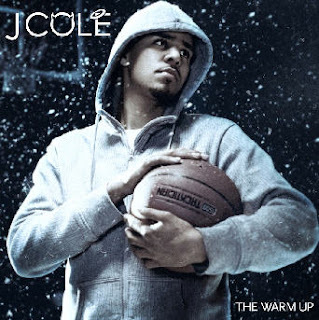 Last week J. Cole came home to NC for an official mixtape release party for The Warm Up Vol. 1 mixtape. While here he hit the streets of Carolina and hand distributed 5000 mixtapes across the state the old Master P-out of the trunk-style. Last Saturday night during the show J. Cole and I talked about how he deals with the pressures of living up to the Jay-Z co-sign hype; remember when Jay-Z was president of Def Jam 2004-2008? Whose album besides Hov’s dropped during those years? Exactly. During the interview J. Cole also talks about how he plans to make his mark in the industry and why education has been such a critical element of his success. I think this kid should run for a political office someday. Oh yeah, download The Warm Up Vol. 1 here. Shout out to R.E. for looking out. ‘Preciate ya.